Hiding in plain sight for years (at least from me! 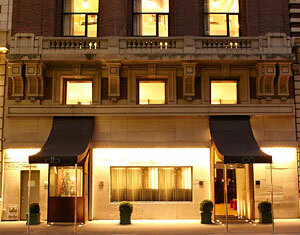 ), the City Club is a mini-masterpiece of a hotel: very refined but very relaxed. With its muted tones and sharp style, this one does not scream "trendy" or "boutiquey", it just is so nice. Featuring complimentary high-speed internet that truly works, multiple phone lines, feather-down bedding with Frette linens and top-of-the-line bath products, your Manhattan pied-a-terre is well equipped for comfort and business. And what's not within the hotel is at hand: there is a culinary destination downstairs, DB Bistro Moderne (brought to you by Daniel Boulud, no less) and the hotel provides complimentary membership to the nearby New York Sports Club. 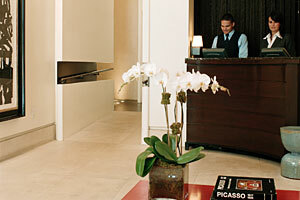 With just 65 guest rooms, you will be getting the service you deserve. 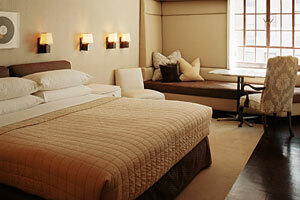 But, because of its intimate size, the City Club Hotel is a book-early deal (if you can). Tell them Academic Ambassadors sent you and enjoy our newest destination. Or, if you'd prefer to book online, click here (our discount will infill automatically). 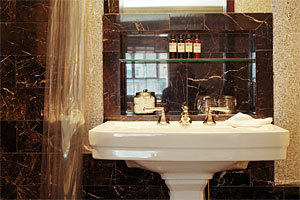 Rates include continental breakfast and New York Sports Club passes. You may visit their website at www.cityclubhotel.com.